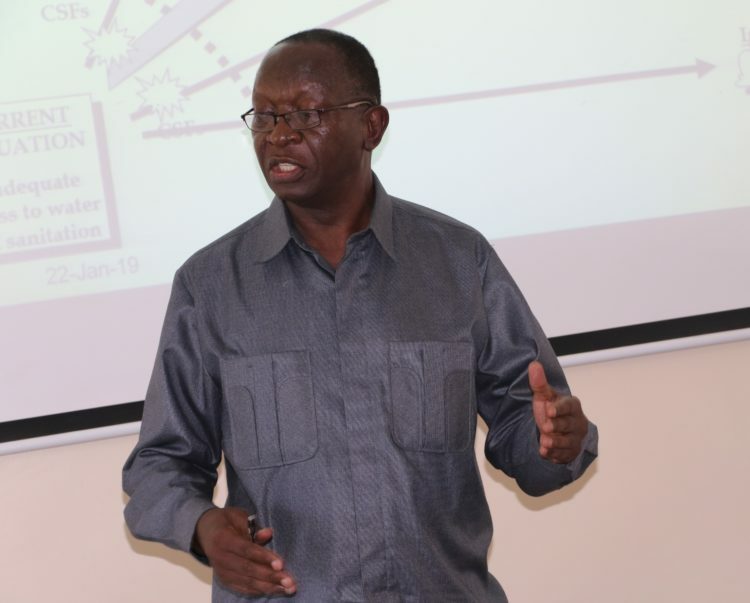 Political lobbying for serious projects from the national government is the prerogative of political leaders, Busia Executive Committee Member for Water, Environment and Natural Resources Dr Isaac Alukwe has said. “Political leaders should besides making relationships learn to caucus to fast-track national government projects instead of allowing industrial investments go to other areas,” he said. The CEC said the County government has rolled out Kshs 199 million worth of investments in water. They include Kshs 118 million ward funding projects spread across the sub counties and Kenya Devolution Support Program (KDSP) Funded projects worth Kshs 81 million. Of the KDSP funding ,Kshs 45 million will be used for piloting of hybrid system for Mundika- Busia water supplies and Kshs 20 million for revenue automaton. Lugulu/Bwaliro in Butula has been allocated Kshs 10 million, Madibira in Samia Kshs 10 million, Nambale/Urban Kshs 6 million and Busijo in Samia Kshs 10 million. Dr Alukwe said the County Government through AfDB and Korean Exim Bank, Nile Basin Initiative and the National Government are targeting the Malaba Town Sewerage Works and Rehabilitation of Malakisi-Malaba-Kocholia water works both estimated at Kshs 1.3 billion. Also targeted is the construction of Kocholia multi-purpose dam to serve four sub counties of Teso North, Teso South, Nambale and Matayos at Kshs 5.7 billion; the feasibility studies (FS) for sewerage system in Busia and Nambale towns are in progress. Deputy Governor Moses Mulomi said Busia water and sewerage company(Buwasco) was faced with numerous challenges including power outages and interruption in water supply and old dilapidated infrastructure resulting in high non-revenue water due to bursts, leakages and integrity issues. He called on the new board that was inaugurated on Wednesday to go out and learn to know the challenges facing water consumers in the County, bring about integrity in the company and to solicit for more support from development partners. DG Mulomi agreed with Dr Alukwe that there was need for performance contracting to enable the board meet critical targets.